Director Anthony D'Souza - best known for directing Akshay Kumar in Blue and Boss - is gearing up for the release of his next, a biopic on cricketer Mohammad Azharuddin. The director spoke of the challenges of adapting Azhar's life onscreen. Why did you choose Emraan Hashmi to play the titular role in Azhar? I could not find anyone better than Emraan. He is an underrated actor but is one of the best performers I could find. I don't think any actor besides Emraan would have given me one-and-a-half years just to do home work. He has not done any movie since them, he was just doing homework. Now if you see him, he is just like Azhar - the way he sits is like Azhar. I think for the rest of his life he will have this problem. What motivated you to make a biopic Mohammed Azharruddin? The film is based on Azhar but it is not a biopic. We have taken a lot of liberties. The character of Meera (played by Lara Dutta) is imaginary. Azharruddin was my favourite while I was growing up. I was his biggest fan. When Azhar stopped playing in 2000, I stopped watching cricket. My first meeting with Azhar was when I reached his house at 11:30 in the night after getting his address from a minister. I did not have a pen and paper to get his autograph so I made him arrange a pen and paper and give me an autograph. After that we became good friends. When I was offered this film, I could not wait because he is one of the greatest cricket players that I have ever seen. And who better to make a biopic on than a person you have idolised all your life? Also Read: Why was Azhar the most memorable experience for Emraan Hashmi? Was it tough for you to convince Azhar to reveal his story? That was done by Ekta (Kapoor, the producer). I came in later. Rajat Arora did the script and a lot of credit should be given to him for writing such a marvellous and well researched script. How much of his personal life will be seen in this movie? Everything. We are not showing much of the bedroom scenes. The idea is not to sensationalise. Was it easy to convince his first wife Naureen to talk about her life? We met her but it was Azhar speaking for the entire movie. We dramatised that. Which was the toughest part about directing this movie? Shooting the cricket scenes were the toughest. India is a cricket-crazy nation and we all know how Azharruddin played. If we show it incorrectly, everyone will get to know because they know how Azhar used to play. On the other hand, if we show a bedroom scene they do not know how things happened so it is easier. What did Azhar say about the movie when he saw it? Azhar has not seen the movie. He has seen some scenes but we will show him the movie in a few days. As the date of release draws near, are you feeling the pressure? I just wish that the film gets good reviews and people like the film. This is the first time a movie has been made on a cricketer. Yes, Dev Anand sir had made Awwal Number (1990) and Kumar Gaurav starred in All Rounder (1984) but they were fictional; this is non fictional. 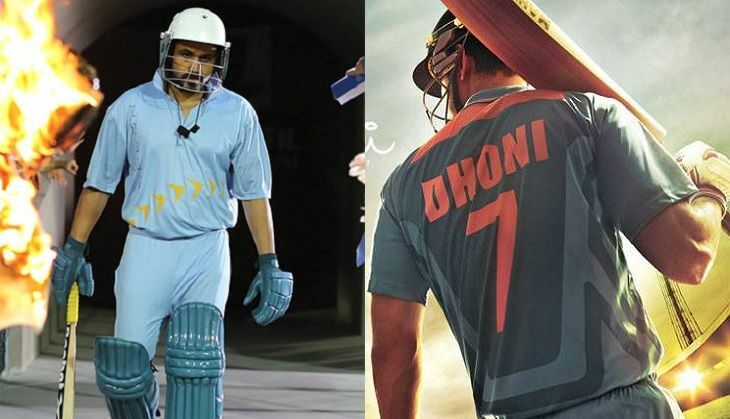 A biopic on Mahendra Singh Dhoni is also releasing this year. I think Neeraj Pandey is a great director; one of the finest. Given a choice, I would see his film before mine.